Jane, Lady Wilde wrote Irish nationalist poetry under the pen name ‘Speranza’ and encouraged her children to carry on her revolutionary legacies. 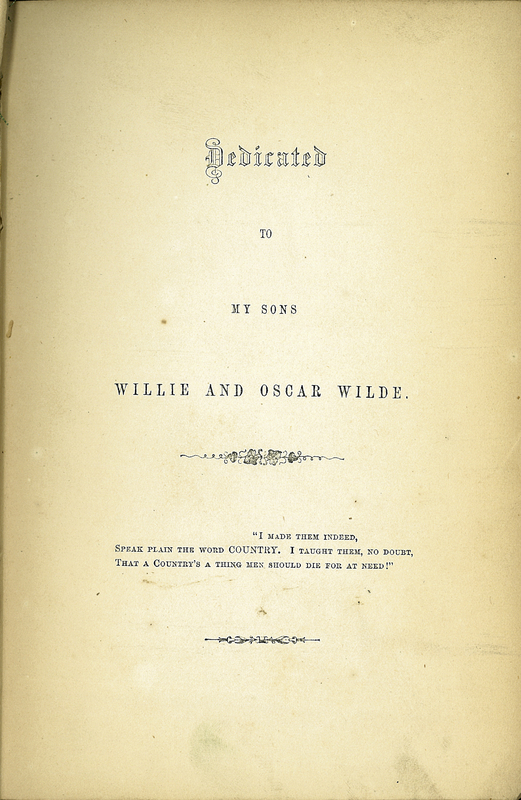 Lady Wilde’s influence extended far beyond her children; when Oscar Wilde visited North America in 1882, he was welcomed as ‘Speranza’s boy’. Speranza (Lady Wilde), “Poems,” ourheritage.ac.nz | OUR Heritage, accessed April 26, 2019, http://ourheritage.ac.nz/items/show/10220.